1.) Name the one sport in which neither the spectators nor the participants know the score or the leader until the contest ends. 2.) What famous North American landmark is constantly moving backward? 3.) Of all the vegetables, only two can live to produce on their own for several growing seasons. All other vegetables must be replanted every year. What are the only two perennial vegetables? 4.) What fruit has its seeds on the outside? 5.) You can buy pear brandy with a real pear inside the bottle. The pear is whole and ripe, and the bottle is genuine; it hasn't been cut in any way. How did the pear get inside the bottle? 6.) Only three words in standard English begin with the letters " dw" and they are all common words. Name two of them. 7.) There are 14 punctuation marks in English grammar. Can you name at least half of them? 8.) Name the only vegetable or fruit that is never sold frozen, canned, processed, cooked or served in any other form except fresh. 9.) Name 6 or more things that you can wear on your feet that begin with the letter "S."
Answers To Quiz Below; No peeking! In the mood for love: is Brief Encounter still the most romantic film ever? 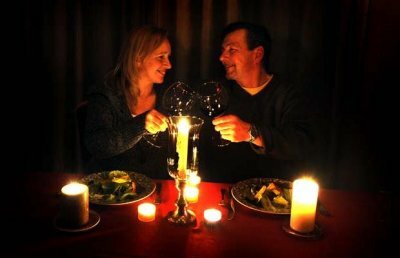 Timeout.com, an upscale magazine which explores leisure activities in major world-class cities, recently held a poll of its readers, asking for votes for the most romantic picture ever. 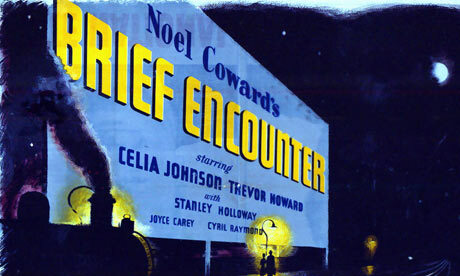 The poll names Brief Encounter as the title most likely to get your heart a-flutter. 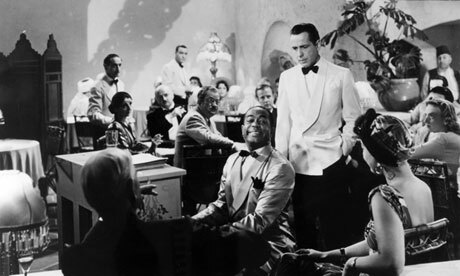 But by our reckoning, the Time Out folk are cruising for a bruising; when we came to the same conclusion three years ago, the readers felt we'd done them wrong, and suggested Casablanca was Mr Right when it came to romantic movies. Do you feel the same? Has your taste for gin joints endured over the past three years? Has Bogie has dropped out of your top 10 altogether? Still stuck for inspiration? Here's the film team's top 10 romantic movies, as of April 2013. Romantic tip: Ice the champagne, rent a romantic flick, and snuggle up on the couch with your honey. 7.) The fourteen punctuation marks in English grammar are the. . . Period, comma, colon, semicolon, dash, hyphen, apostrophe, question mark, exclamation point, quotation marks, brackets, braces, parenthesis, and ellipses. 9.) Six or more things you can wear on your feet beginning with "s". Shoes, socks, sandals, sneakers, slippers, skis, skates, snowshoes, stockings, or stilts. *Romance Tip: Got a love problem? We tackle love advice, relationship problems, and marriage woes.